David has a long and distinguished career in home lending having worked in the Australian banking/mortgage sector for over 25 years plus. 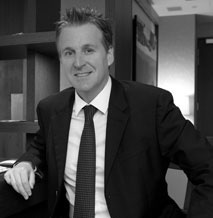 He has worked with both Australian and International banks and considered an industry expert. He is a licensed MFAA Approved Credit Advisor who has assisted 1000’s of home loan customers and is regarded as an expert within this field. He is an expert in both expatriate and non-resident lending and works exclusively with banks and lenders in this field. David is permanently based in Singapore and regularly travels throughout the South-East Asia region and Australia. He regularly speaks at Australian property events in Asia such as the recent Property Guru’s Australian Property show recently held in Singapore. Whether you’re an existing home loan customer with an Australian bank or a property purchaser, call David today for a confidential discussion on how we can serve you better on the home lending front.